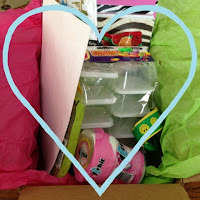 Pinkadots Elementary : Amazing Bloggy Buddy Package Revealed! Amazing Bloggy Buddy Package Revealed! Today was a "blah" day until I heard the mailman throw a package at my house (yes, I'm serious)! I ran outside in my pajamas and was so excited! Right away I knew it was from secret blogging buddy, but I couldn't open it until I put the kids down for a nap. They would have taken everything! As soon as they went down, I grabbed the scissors and got to it! How cute was Sara from Kinderaffe Kindergarten to have researched my blog before shopping! I'm obviously obsessed with pink and zebras and have incorporated this theme throughout my classroom! The funny thing is I had Sara and she had me! She really put me to shame with the packing! I basically stuffed everything in the box and taped it up tight before things fell out! Sara lined it nicely with my favorite colored tissue paper and included a sweet note on cute teacher paper. You know what's even cooler? She works 20 minutes away from my house! I am in love with everything in this package! 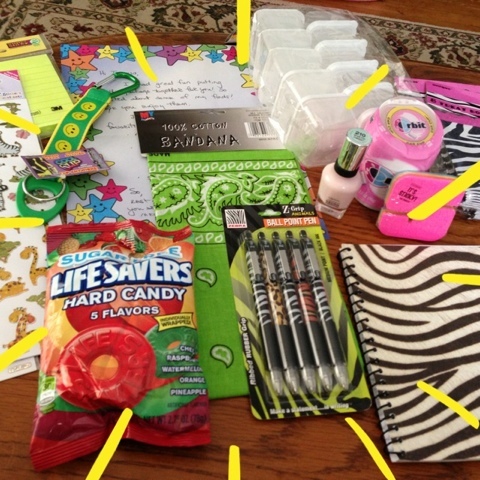 Life Savers, nail polish, a zebra pad, adorable stickers, gum, sticky notes, "S" notes, a lime green bandana, a neat water bottle holder, mini storage containers, and even zebra treat boxes! I am so thankful for my amazing package from my new friend, Sara! She is a new blogger so you should definitely check out her blog, Kinderaffe Kindergarten, and follow it. She teaches an all boys kindergarten class, God bless her! That sounds tough!! 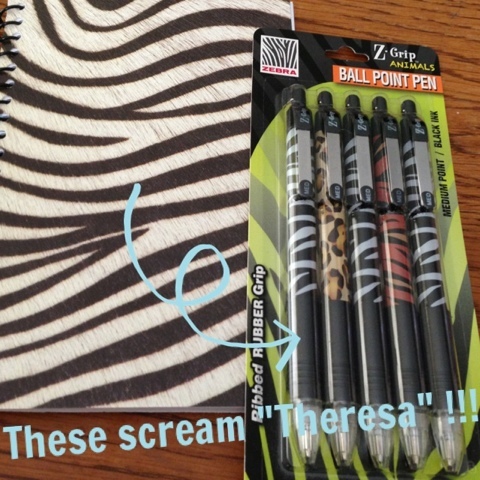 Those zebra pens are calling my name. 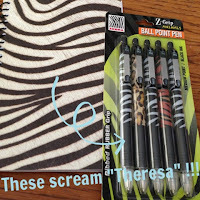 Thanks for sharing--I'm on a supply frenzy right now, so what's one more item! I sent the stuff to my secret teacher last week. I'm still waiting to get mine...so excited! What a fun idea! I still have the class-coordinating pencils a colleague got me at the start of the school year 4 years ago. 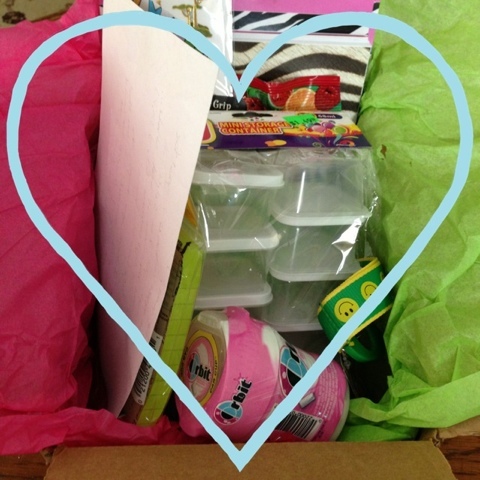 Getting classroom presents in the mail sounds fun too! When that box was placed (not thrown, thankfully) on my doorstep I knew exactly what it was. I'll post all my goodies this Saturday. 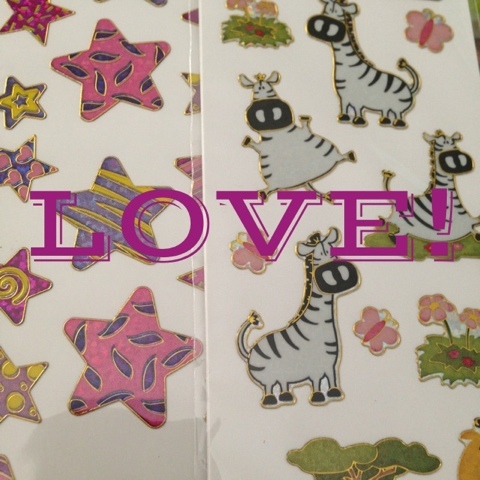 LURVE! All sorts of fun goodies. 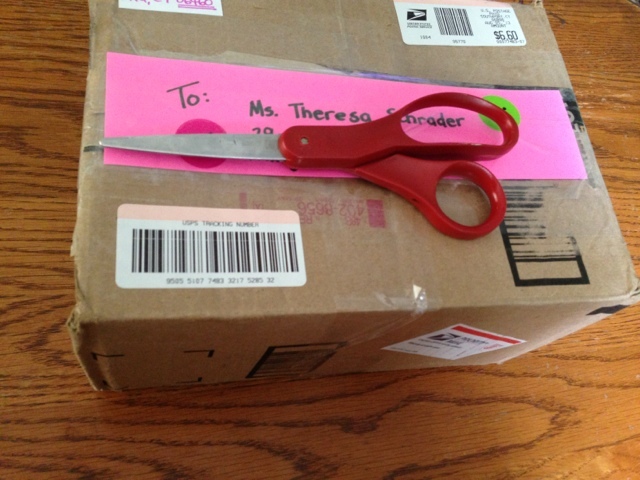 Do you know if Robyn received her package yet? It was supposed to arrive last Wednesday? I went in to check delivery status but it didn't really tell me anything.